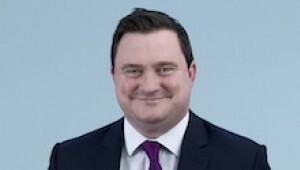 James Cradick acted on behalf of a leading German manufacturer and processor of sunflower seed oil in a dispute with one of the worlds largest commodity traders. The client’s were purchasers. The relevant product was sold to the client on FOSFA terms and transported to the client’s processing facility in Germany via several barges where it was transferred into silos. The client’s internal testing procedures picked up a problem with the quality of the product provided and immediately contacted James for guidance on risk management. A limited amount of the contaminated oil had already started being introduced into the processing chain and further good quality product in a number of silos had been contaminated by the introduction of the defective product. Working closely with an independent expert (recommended by James), the client’s own internal risk management team and the senior management team the problem was resolved and loss substantially mitigated. The steps taken at an early stage ensured that the problem was confined as far as possible and the damage and inevitable disruption to the client’s business minimised. James then entered negotiations with the Sellers following commencement of FOSFA arbitration proceedings. A favourable settlement was obtained. Subsequently James advised on a redraft of the client’s European standard trading terms to guard against future losses potentially arising in similar circumstances. Our Commercial Property & Development team give commercially orientated advice and ensure a speedily concluded transaction whether you are purchasing, selling or leasing commercial property.